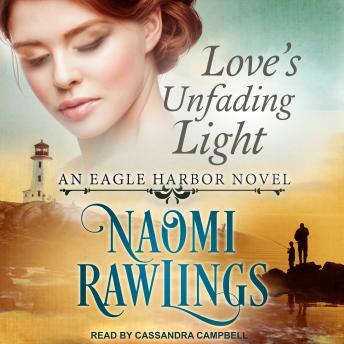 Listen to "Love's Unfading Light" on your iOS and Android device. Tressa Danell is finished with men-from the wastrel who left her a widow, to the smelly trapper who keeps proposing, to the banker who wants to repossess her bakery. Every hour is spent working to pay off her late husband's debt and keep a roof over her son's head, though it's doubtful she can do both for very long. But one thing's certain-she'll never be beholden to a man again. Tired of living in a small town that blames him for actions his father committed ten years ago, Mac Oakton is scheduled to leave Eagle Harbor. So why does the pretty widow at the bakery keep tugging at his heart? He can't get involved in her predicament when he'll only be around for two more weeks. But when Tressa's burdens overwhelm her, they both face a decision. Can Mac set his own plans aside to help? And can Tressa accept his support if that means giving up her independence . . . and being obligated to a man again?